Indicative of how an image is planted and then blossoms in the world of your business, here is presented the further evolution of the Logo Design for Elissa Henkin M.A., Advocate and Educational Consultant. 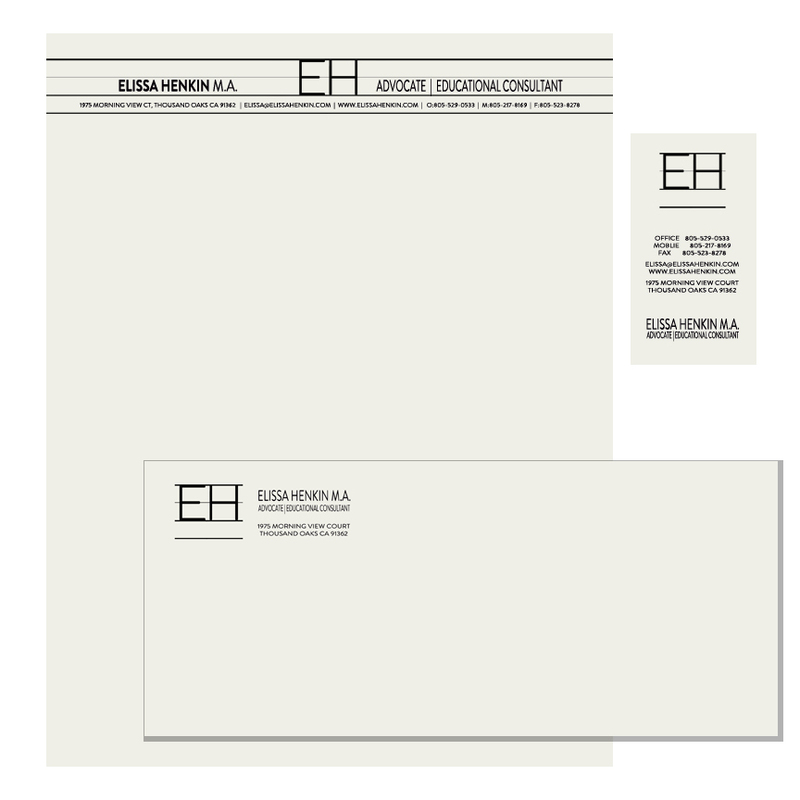 In this, the logo is incorporated in the design of business stationery. 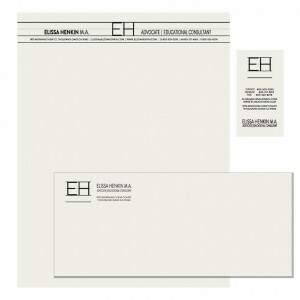 Three paper-based items are absolutely crucial to your presence in the marketplace: letterhead, envelopes, and business cards. Along with your logo, these items are the pillars of a well-defined identity. Though seemingly ephemeral impressions, the subliminal communications value of elegant stationery must not be overestimated. The best stationery works hard to present your image and convey your values in a tangible way. Traditionally, many of the world’s most successful companies have relied heavily on sharply-focused stationery. Whether you’re starting your business, building your business, or simply trying to stay in business, whatever your field, these three elements of corporate identity are vital for success.